“In early March, Daniel Fine, associate director of the New Mexico Center for Energy Policy, told a gathering of tribal energy officials that the oil bust is officially on. Those gathered, however, sure as heck didn’t need an expert to tell them that. In the oil and gas patches it has become clear that the economic gains of the so-called shale revolution are being wiped away by one of the worst fossil fuel downturns in U.S. history. Now, the oil companies are crying for help. First, they got the crude oil export ban lifted. Next they want proposed federal rules on methane emissions weakened or scrapped. As if any of that will help. Back in 2010, the price of a barrel of Brent crude (the international oil price benchmark) topped $80. That made it profitable to extract oil from tight shale formations, which is especially costly. A drilling frenzy ensued, domestic oil production skyrocketed, oil companies raked in profits and oil patch communities prospered. It’s time to talk seriously about the energy industry in New Mexico. And you have some work to do. Whether your business is directly involved in this industry, it’s very much tied to its outcomes — and right now, there’s much concern about that in the state. After all, some 30 percent of New Mexico’s tax base comes from oil and gas. And you’ve read the headlines we’ve been reporting on how that sector is faring. If you haven’t, let me recap — it’s a fracking mess. The price of oil dropping more than a year ago has resulted in rapid cost cutting from many of the energy majors, including ConocoPhillips (NYSE: COP) and Halliburton Co. (NYSE: HAL), both of which have major operations and workforce in New Mexico — although smaller now. Some 30 percent of New Mexico’s tax base comes from oil and gas. But that’s just one sector of energy. At Albuquerque Business First’s Energy Outlook event Nov. 12, we will hear from the CEO of one of the fastest-growing companies in New Mexico — Positive Energy Solar. And Positive wasn’t the only energy player on ABF’s List of gazelle companies this year. 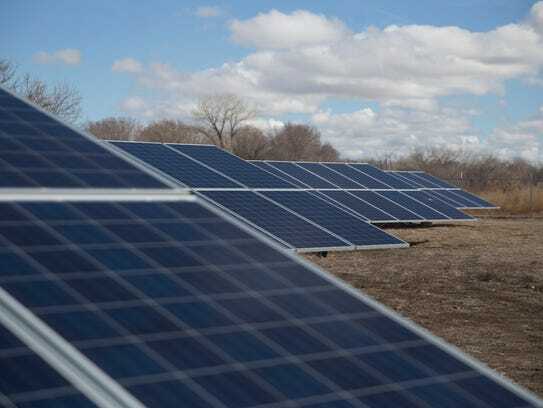 Affordable Solar Group ranked high and made Inc.’s list of fastest-growing companies, as well. In addition to solar, we will hear from New Mexico energy giant PNM Resources (NYSE: PNM), which has its hands stretched into multiple sectors of energy. We’ve also added oil and gas expert Bob Gallagher, whom many of our readers will remember from his decade of leading the state’s oil and gas association, NMOGA, as well as his time as advisor to the U.S. Secretary of Energy. Gallagher tells me it’s not all doom and gloom in New Mexico oil and gas. In fact, he knows of pockets in the state that are growing rapidly and seeing strong new investment. But New Mexico doesn’t operate in an energy vacuum. It’s critical for our companies — whether involved directly in energy or on the periphery of it, as most of us are — to understand the global and national challenges facing this industry. Dr. Daniel Fine from the Center of Energy Policy at New Mexico Tech will give us that broad overview and tell us what’s coming in the future.